Who isn't on the hunt for perfect brows? I'd heard so much about the Wunderbrow that I had to give it a go. Wunderbrow's website boasts that it, "locks colour and tiny hair fibres to the skin, giving you thicker and more defined brows". Read on to find out whether or not I agree with these claims! It's so time consuming! Granted, I am the ultimate perfectionist. "Eyebrows should be sisters, not twins" I know, I know...but mine are twins. My make up is not done until they're identical. This is a huge part of the reason I find the Wunderbrow so time consuming; I use a fine angled brush by Benefit to apply it. 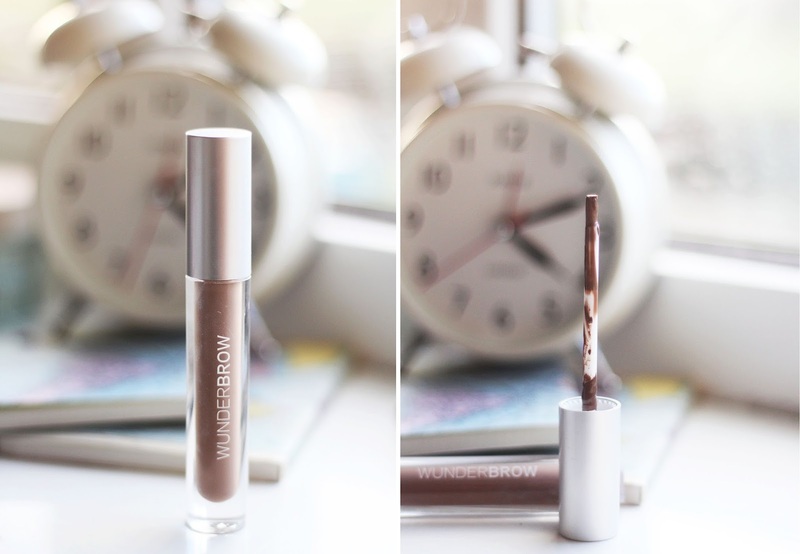 I dip the brush into the Wunderbrow liquid - a little bit at a time - and then apply. 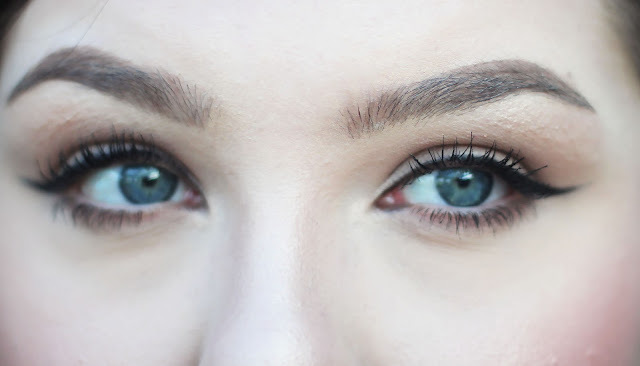 I have naturally thick brows so doing this process takes some time to build up. The product does come with an applicator itself, but it's really thick and I don't think you're supposed to use it to apply product straight to the brow. 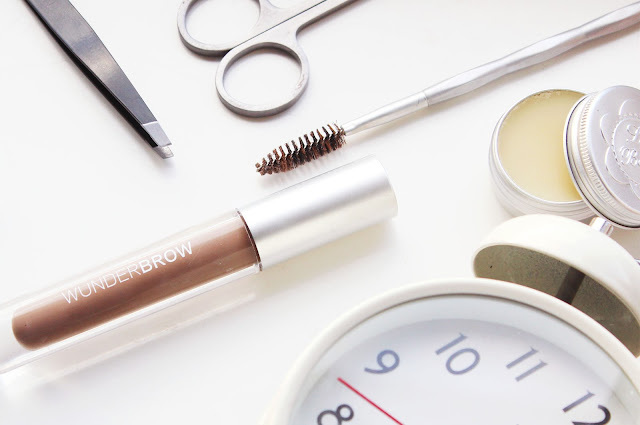 It's not that the Wunderbrow takes a long time to set or is difficult to apply, rather that the process of dipping/applying takes such a long time. This suggests to me that a little bit of the product only goes a little way, unlike - for example - a brow definer where a tiny stroke can be blended out. Now onto the good stuff! In terms of the finish product, the Wunderbrow is unbeatable. It's claims are true, it's super long wearing, very opaque but natural looking and definitely gives you more defined brows. Because of the consistency of the liquid, it's difficult to go wrong with this; you can't really make a mess, and where it literally locks into place you can't smudge it either. 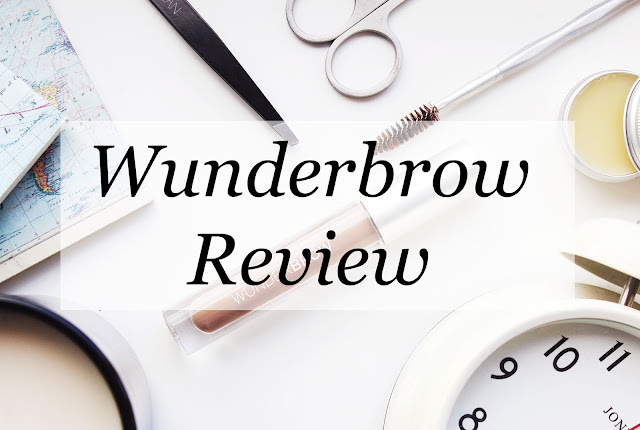 I also have to give the Wunderbrow kudos for being a liquid formula - it's definitely different to anything I've used before! When I draw my brows on with my other go-to products (ABH Brow Definer and Charlotte Tilbury Brow Lift), you can see to some extent that my brows are filled in. It's not as easy to mimic the appearance of natural hairs with those two examples, but it's a piece of cake with the Wunderbrow. It's such a shame that it takes such a long time! So overall, if you're really struggling to get a good, long wearing, natural looking yet well defining brow product, but you're not overly committed to your eyebrows being literal twins, you'll love this. If you're like me and you're a level 100 perfectionist and prefer 'fast make up', you might not be reaching for this that much. That is the case that I have found. It takes me so long to get my brows the way I want them to look - although they do look even better than with other products - it's just impractical for everyday. I'm very glad I bought it though, such a long wearing product would be perfect for nights out, perhaps dancing and sweating. These won't budge! Have you tried the Wunderbrow? What do you think of it?